4-Nitrophenyl-α-D- glucopyranoside is a chromogenic substrate for alpha-D-glucosidase, yielding a yellow solution upon cleavage. 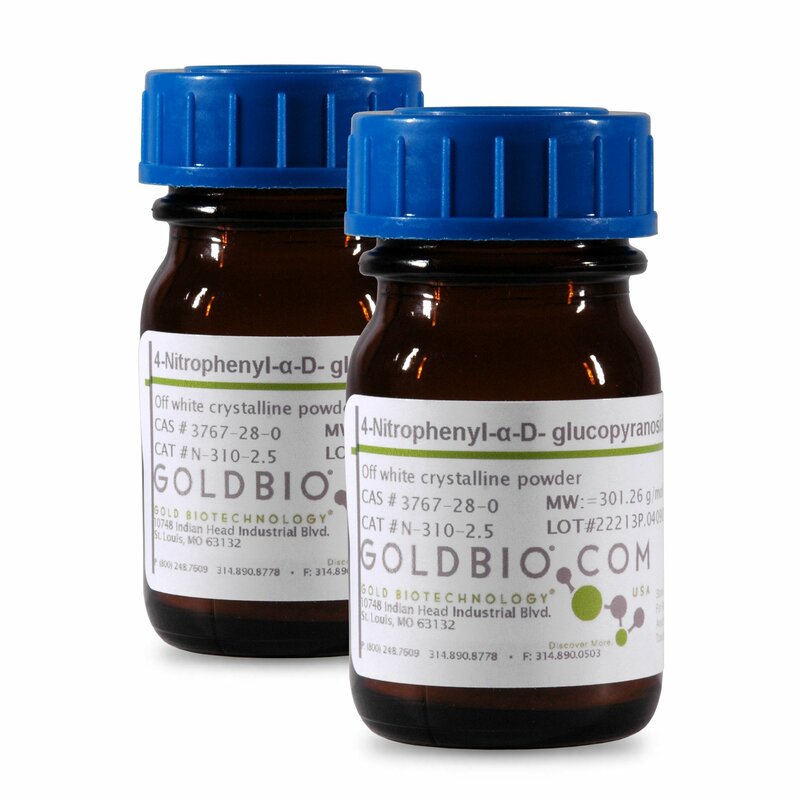 4-Nitrophenyl-α-D- glucopyranoside is also used for the detection of glucansucrases and for yeast alpha-D-glucosidase and for crystal structure studies of the complexes of concanavalin A.
Storage/Handling: Store at -20°C. Protect from light. Binder, T. P., & Robyt, J. F. (1983). p-Nitrophenyl α-D-glucopyranoside, a new substrate for glucansucrases. Carbohydrate research, 124(2), 287-299. Oliveira, D. E., Neto, A. L. C. S., & Panek, A. D. (1981). Permeabilization of yeast for in situ determination of α-glucosidase. Analytical biochemistry, 113(1), 188-192. Wimmer, B., Lottspeich, F., Ritter, J., & Bronnemeier, K. (1997). A novel type of thermostable α-D-glucosidase from Thermoanaerobacter thermohydrosulfuricus exhibiting maltodextrinohydrolase activity. Biochemical Journal, 328(2), 581-586.